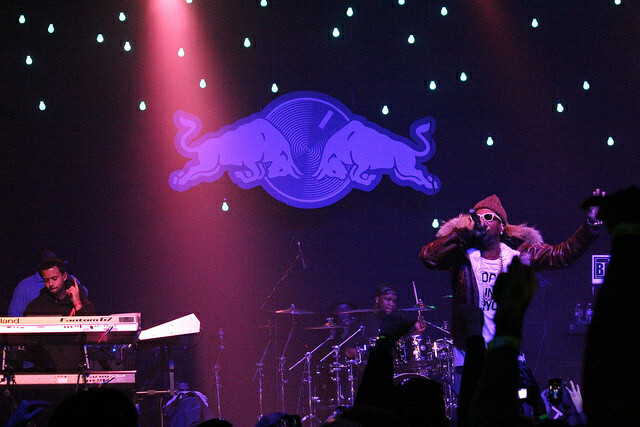 The club was definitely going up on a Tuesday at Hollywood’s Fonda Theatre , as rap icon Lil’ Wayne surprised fans with a secret appearance alongside friend and former Three-6 Mafia member Juicy J for night 25 of the Red Bull Sound Select: 30 Days in LA concert series. Their drink might not legally give you wings, but despite falling short in the flight department Red Bull continues to spread their wings with the 30 Days in LA concert series all November long. The month long initiative, the biggest yet to come from their infant Sound Select program, pairs 60+ artists across a slew of Los Angeles venues bringing fans an intimate glimpse at both established and emerging artists. The Fonda Theatre was no exception Tuesday evening seeing the likes of up and comers, Chicago based MC Tree and Atlanta rap-collective Two-9, to Atlanta originals and Southern Rap pioneers Juicy J and Lil‘ Wayne. With doors open at 8 p.m. the crowd slowly trickled in, but Chicago MC Tree sought to turn the night up with his uniquely deep and raspy vocals accompanied onstage by fellow artists Brian Fresco from SaveMoney, Chris Crack from the New Deal Crew, Mibbs of Pac Div and Lennon of Project Mayhem. Focused more on his performance than his appearance, the all black sweat suit clad Tree soothed the audience with a big smile and gentle vocals. Serving his self-invented genre of “Soul Trap,” Tree was a refreshingly underrated experience amongst the lineup. 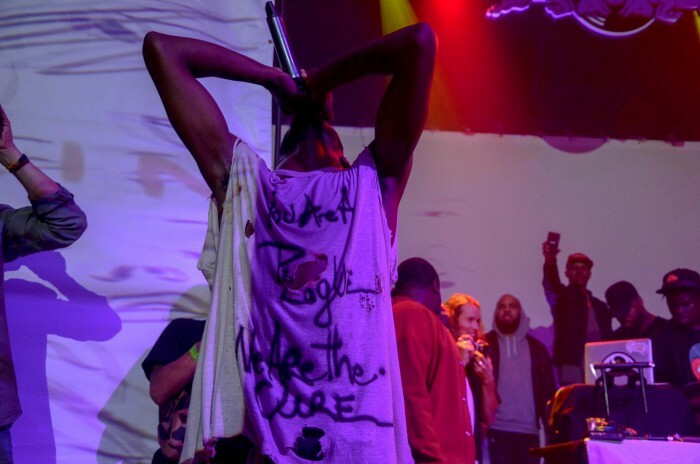 Next up, hailing from the epicenter of trap music, Atlanta-based rap collective Two-9 took stage fired up to bring their varying styles and members to the LA scene. As a rap collective, Two-9 boasts two solo acts paired with two groups, but the audience only saw half the act take stage in the form of sub-groups FAtKidsBrotha and RetroSu$h!. Missing members from the collective include the lone female performer of the group, DJ Osh Kosh and founding members Key! and Curtis Williams. 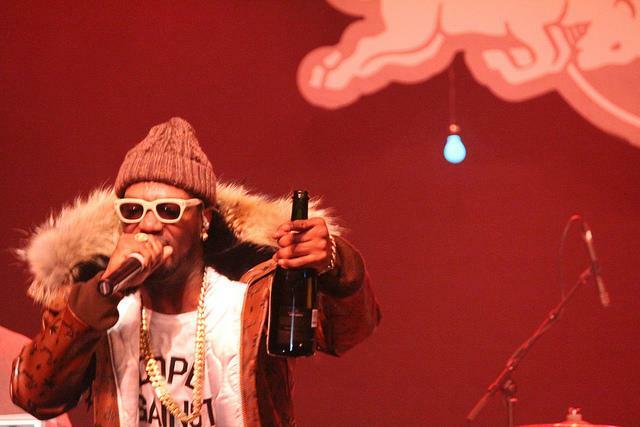 In his signature luxurious fashion, Juicy poured champagne to lucky fans in the front, all the while touting that “Juicy J is a giving person”. Taken with the spirit of the holidays he removed his designer Louboutin shoes and threw them to the hungry crowd. The giving continued as he played hit “Sippin’ on Some Syrup” and “Poppin’ my Collar” from early in his career when he was a part of infamous Memphis-based rap group Three 6 Mafia. 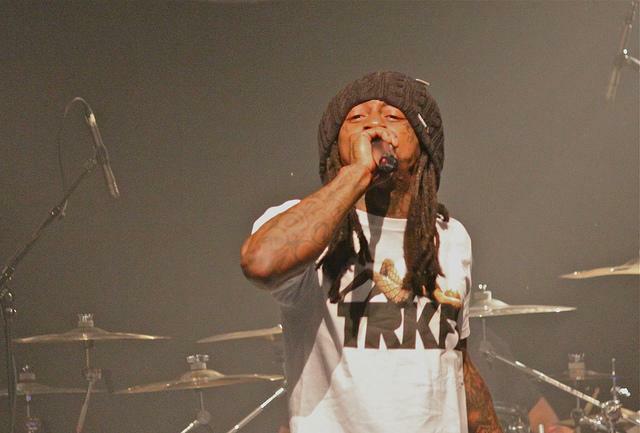 Signature Diamond grill shining, the Young Money rapper followed his verse on “Bandz” with another crowd pleaser “Loyal”, along with another verse he did with Drake for the song “Believe Me”. Knowing that Weezy F Baby himself plays to crowds 20 times the size of the Fonda’s 1,350 person capacity, for Southern Rap fans like myself, the night was literally the definition of intimate. It will be a long time coming before Wayne fans can say they stood 10 feet from the man without paying the exorbitant ticket prices his shows are known to bring. 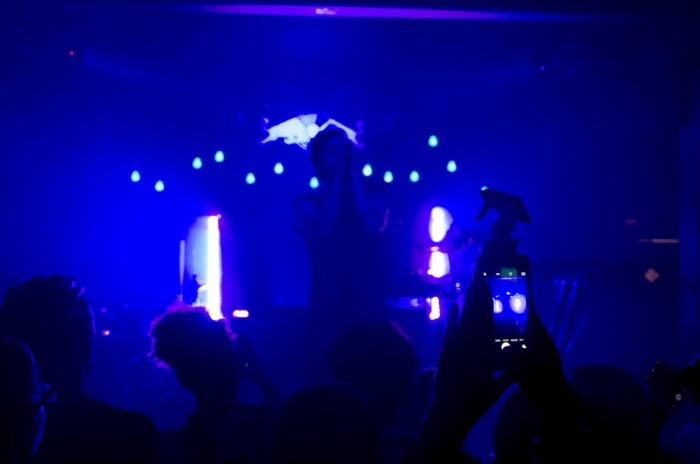 So if you still feel cheated by the fact that flight cannot actually be achieved through Red Bull, take into consideration that they still put on a pretty good $15 surprise Lil’ Wayne performance at one of LA’s best venues. Just Saying.